There's been a lot of buzz about an impending property tax increase in Chicago to start meeting the city's worsening fiscal crisis. On Tuesday, the mayor unveiled just how substantial the tax hike will be: $588 million (that figure includes a separate tax levy for schools). It's part of his 2016 budget proposal which contains additional fees and taxes to generate revenue, including a first-ever garbage pickup fee. 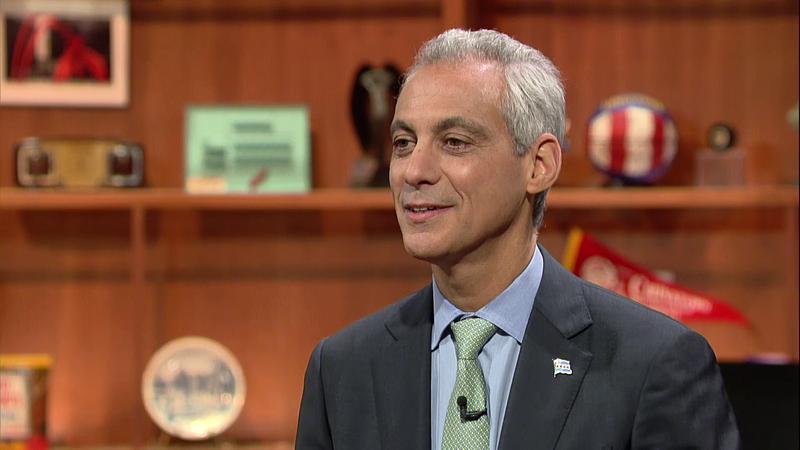 Joining us for his first extended interview since proposing his so-called "last resort" budget is Mayor Rahm Emanuel. Among our questions for the mayor are several shared with us by readers who are concerned about the city's finances, but we'll also ask the mayor about a developing story involving the Chicago Tribune. The Tribune announced Thursday that it is suing Mayor Emanuel over the use of private email. In a news story posted on its website, the Tribune states that the lawsuit filed alleges "that Mayor Rahm Emanuel violated state open records laws by refusing to release communications about city business conducted through private emails and text messages." While the mayor told "Chicago Tonight" he has not seen the Tribune lawsuit, he said his administration complies with the Freedom of Information Act requirements. In his budget address, the mayor called his proposed 2016 budget a “last resort” to remedy the financial mess he inherited. To keep his proposed property tax increase fair, the mayor is calling for an expansion of the homeowner’s exemption so that properties valued at $250,000 or less would be spared from the tax hike. This would require approval by Springfield, which may be asking a lot as the legislature is mired in its own budget crisis. With that said, Emanuel isn’t waiting for Springfield’s assistance. While Emanuel outlined several fees and taxes as possible sources of revenue in his budget, “Chicago Tonight” viewers had a few proposals of their own. One suggested the mayor consider a progressive city income tax similar to that of New York City rather than a property tax increase. Another viewer asked the mayor why he won’t consider a financial tax on La Salle Street, which could generate billions in revenue. “Thirty percent of the future’s market in the world is right here; billions of dollars of economic activity and jobs, and the worst thing—given that it used to be a floor—today it’s all done electronically. It doesn’t have to be here. They could easily move, and I don’t want to see those jobs and the economic opportunity and the economic growth from that to leave,” Emanuel said, adding that enacting that type of tax would require changes in legislation either by Springfield or Washington. On Tuesday, the mayor unveiled his proposed 2016 budget, which includes a $543 million property tax increase that would be phased in over four years. Without a property tax increase to fund the city’s police and fire pensions, Emanuel said drastic cuts would be made to citywide services, including laying off thousands of police and firefighters. Fees on ride-sharing services, taxis and garbage collection are also included in the budget proposal. Readers submitted dozens of questions for the mayor on our website and on Facebook and Twitter, asking about topics such as TIF and pension reform to the legalization of marijuana and casinos; why CPS does not file for bankruptcy; whether the city should raise the gasoline tax or support a financial transaction tax; to whether Emanuel has presidential aspirations. We thank everyone for their questions and look forward to using a selection during our discussion with him.